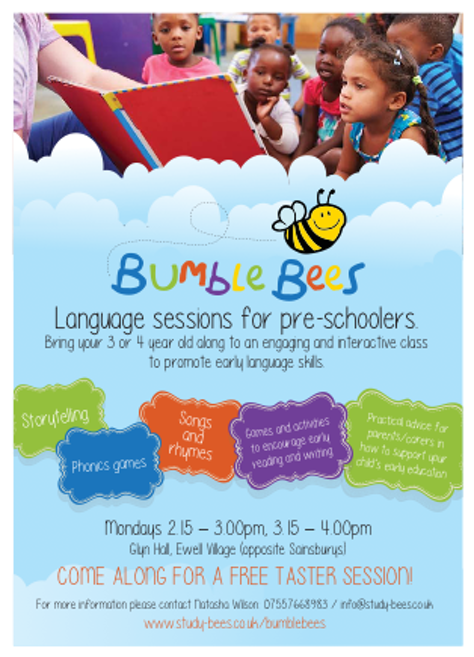 Bumble-Bees is an exciting session for pre-schoolers and their parents or carers; an opportunity to give your child a gentle introduction to education through play-based activities. The 45 minute sessions aim to promote and encourage language skills. They are structured around phonics, story-telling, music and movement, with songs and activities that engage and stimulate children. Throughout the class, guidance and tips are given to parents on how to support their child’s language skills.